We have put in dozens of hours tweaking our system and responding to bugs over the last few months. Here are the most important ones you might be interested in. Within our multi-user option, our core philosophy is that users can edit but not delete. We missed an option where users could have deleted individual messages from the inbox. This has been fixed and reserved for admins only. 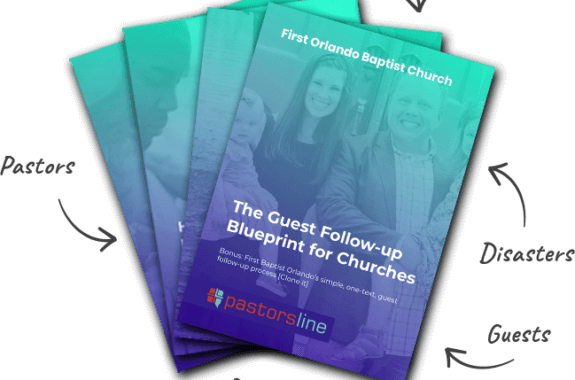 The top level of PastorsLine feels similar to most social networks you use. You can see recent contacts, get global notifications, and see incoming messages. We have cleaned this up to be more accurate and to allow you to send quick messages without going to the inbox. We checked and improved the dashboard numbers to be accurate and they are clickable. Within the inbox, you have the option to delete (admins), forward, and mark as ‘unread’ the messages. We fixed the “mark as unread/read” option. This is perfect for teams that are sharing the same number and you want to allow your team members to see the messages. Or perhaps you read a message that requires addressing at a later time. “Mark as unread” will be great for you. Sending large numbers of picture messages will get your number flagged by carriers. We initially removed the MMS feature for groups but now you can send pics for groups less than 150. For larger groups, you can use a URL. You can still send and receive unlimited pictures when engaging a specific person. We allow you to import contacts into our system in bulk. The required format is CSV. We fixed the issue where if the file extension (.csv), was capitalized, the system rejected the import. We also fixed a compatibility issue when exporting into the CSV format using a Mac. We have noticed some lingering issues with the Safari browser. We added a note to make it clear that we don’t recommend it at this time. Chrome or Firefox is your best option. Also, ensure your browsers are updated. Our voice broadcasting option was temporarily not working as a “space” was introduced to our script. Now, that’s a sermon, right? This issue has been fixed. While we haven’t done them all, but now you can hover over most of the icons within our system and see what they do. This was recently done for the inbox. We send you one report immediately when people have signed up through a keyword or you can elect to get the notices daily. The daily report has been broken for weeks. This is finally fixed. This is great if you are using keywords to connect and want a simple report on who opted in for that day.